It’s great how current research and trends have slowly moved away from laboratory-produced medicines and have transitioned into something more natural. Nowadays we are looking at treating and preventing illnesses through yoga, essential oils, organic food, and superfoods. A superfood that we were curious to read up on was one that has been under the radar considering the enormous health benefits it has. 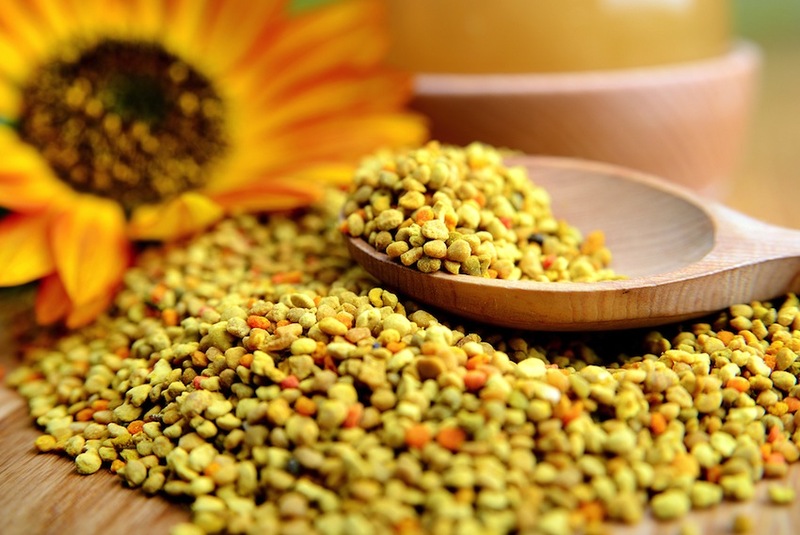 Introducing one of the most naturally produced superfoods: bee pollen. Here’s why we think you should add it to your daily smoothie, granola or salad. 1. It is rich in protein and amino acids. Considering the tiny granule it is, it has a ton of amino acids packed in them. And if you’re wondering what amino acids are, they are the building blocks of protein which are necessary in all biological processes and make up our cells and tissues. They help us function and aid in repairing and healing our bodies. The proteins in our bodies act as carrier cells to transport nutrients throughout the body. This means that the benefits of the food we eat act faster on our bodies and increase in nutritional value. It helps in weight loss through stabilizing your metabolism and curbing your appetite. Because your food has increased nutritional value, it leaves you full longer. It’s also because of another sneaky amino acid needed by the body but doesn’t produce, which is present in bee pollen – phenylalanine. If you are overweight, it acts as a natural suppressant, and if you are the opposite then it also works the other way around. 2. It improves performance and endurance. A study done by the British Sports Council revealed an increase of 50% in terms of performance in their athletes on taking bee pollen. The regenerative power of the superfood contributes to the increased stamina of athletes, says Alex Woodly, the executive director of the Education Athletic Club in Philadelphia. Due to the capacity of bee pollen to rejuvenate and take care of cells when ingested, studies in Sweden by Dr. Lars-Erik Essen have found that it keeps cells hydrated and “brings life to dry cells.” It also gets rid of wrinkles, age spots, and any other blemishes. An interesting tidbit on it too is that a few years back, scientists tried to synthesize their own bee pollen with the exact same components they found in one. However, they were unsuccessful because when they gave them to the bees they died. There was some secret ingredient unidentified that were exclusive only provided by the bees. So, high five to Mother Nature and the world’s capacity to heal and protect us remaining a mystery.